Lifting your truck doesn’t just give it more altitude and attitude – a lifted truck glides over off-road terrain, keeping the undercarriage out of reach from would-be bruisers. When you’ve got plans to drive your truck across acres of ranch property or deep into mountainous territory, a few extra inches of lift is all it takes to protect your truck from damage, ultimately make it more capable. 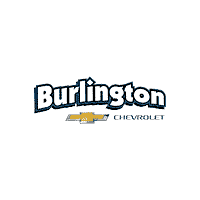 At Burlington Chevy in Burlington, NJ, we carry the region’s largest inventory of lifted trucks. And, if you’ve got something very specific in mind, our friendly staff will help you find what you want and need. We’ll help you obtain the truck of your dreams down to the last detail. 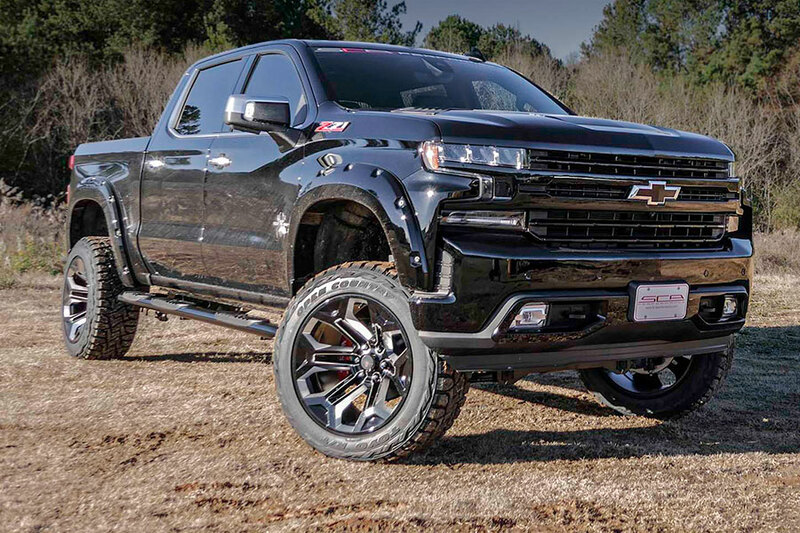 The newly redesigned 2019 Chevy Silverado 1500 is more capable than ever before, especially when lifted. This full-size truck also offers a seemingly endless array of aftermarket features, giving drivers a unique take on style and performance. Build yours to suit your unique daily drive. Four engine options cater to your needs, whether those needs are for all-out power or conservative fuel economy. The lineup starts with the base 4.3-liter V6. This entry-level engine spits out 285 horsepower and 305 pound-feet of torque for easygoing speed and off-road capabilities. With this engine, Silverado drivers can tow up to 8,000 pounds. Next up we have the 2.7-liter turbocharged four-cylinder engine. It’s even more capable, with 310 horses and 348 pound-feet of torque. With it, your Silverado earns the best EPA ratings – up to 20 city/23 highway mpg. This option is also plenty capable, towing max loads of 7,200 pounds. Standard on the new LT Trail Boss trim and up is a 5.3-liter V8 engine. It ramps up performance with 355 horses and 383 pound-feet of torque. This engine is the line’s second-most capable option, towing trailers weighing up to 11,600 pounds. Optional for the LTZ and High Country trims is the Silverado’s most capable engine. This 6.2-liter V8 engine generates top-of-the-line power – 420 horsepower and 460 pound-feet, to be exact. Properly equipped, a Silverado 1500 with this engine can tow 12,200 pounds. No matter which Silverado 1500 trim or engine you select, you can add four-wheel drive into the mix. This performance technology maximizes traction on soft surfaces for an A1 off-road ride. If you’ve got bigger trailers to haul, you need the heavy-duty 2019 Chevy Silverado 2500. With stronger engines – including an optional diesel V8 – and tougher underpinnings, the Silverado 2500 caters to drivers with seriously heavy agendas. This heavy-duty truck puts two engines on offer. The standard engine is a robust 6.0-liter V8. Powered by regular gasoline, it offers 360 horsepower and 380 pound-feet of torque. Properly equipped, a Silverado 2500HD with this engine can tow up to 14,000 pounds. If you have your eye on this heavy-duty truck, you likely need the turbocharged 6.6-liter diesel V8 engine. This optional equipment takes towing performance to the next level, which of course is why you’re shopping the HD segment in the first place. Properly equipped, this diesel engine gives the Silverado 2500HD 15,400 pounds’ worth of towing prowess. Whatever powertrain speaks to you, you can bet that the Silverado 2500HD looks good with a little extra lift. This heavy-duty lifted truck is the perfect addition to both a rugged workday and a little off-road adventure. In the end, drivers in the market for a Chevy truck – lifted or no – should head over to Burlington Chevrolet in Burlington, NJ. Our friendly staff will take you out for a test-drive and help you decide on a pickup that means your specific needs.